It's not just a business program. It's not just an interview program. It's not like any other program on television. It's a unique series of conversations with today's most dynamic and visionary chief executives, and it's returned to PBS for its fifth season. 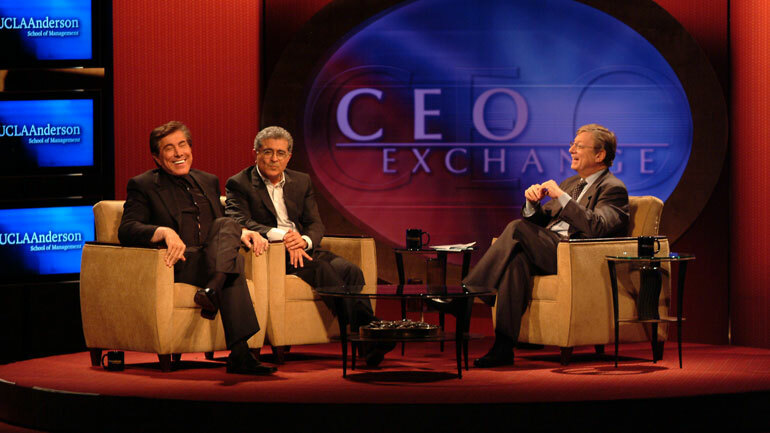 In each one-hour program, CEO EXCHANGE brings together two of the most interesting and innovative CEOs in the world for a lively discussion about themselves, their companies, and their passions in life. The host of CEO EXCHANGE is highly respected television journalist Jeff Greenfield of CNN, known as a conversational interviewer whose wit and insight bring out the best in his guests. Mr. Greenfield's professional background is not in business news, which means that he focuses on the human side of the CEO. CEO EXCHANGE programs are taped live at prestigious business schools around the country. CEO EXCHANGE is designed to be virtually timeless, emphasizing the lives and careers of its CEO guests, not the latest quarterly earnings reports of their companies. The themes of each program highlight the achievements and challenges shared by both guests. Vistage is proud to sponsor WTTW broadcasts of Season 5.